Knit designs inspired by nature. Yarn dyed with the Earth in mind. I didn't set out to become a designer or a dyer, but the closer I got to the craft, the more I wanted to learn. I wanted to engage in a tradition that is as old as time. Reach back into the history of humanity and honor our mothers, as we move forward. I also want to honor the Earth. As a person who hails from the Rocky Mountains of Colorado, nature is my muse. It is my way to give back to the land that raised me. All of my patterns and designs are based on the natural world. Each pattern produced is inspired by the world around me. My current series is based on my homeland, Colorado. Portions of each pattern sold go to support people who do good work with environment conservation. Keep an eye out on this website for fundraisers for the National Park Foundation and the NRDC. Two great organizations that are close to my heart. This cozy cowl is a part of my first three patterns, a series that was inspired by the mountains and beauty of my home state, Colorado. I hope that you enjoy knitting this as much as I had. Born out of the Forestry Cowl, this shawl is a cozy knit. 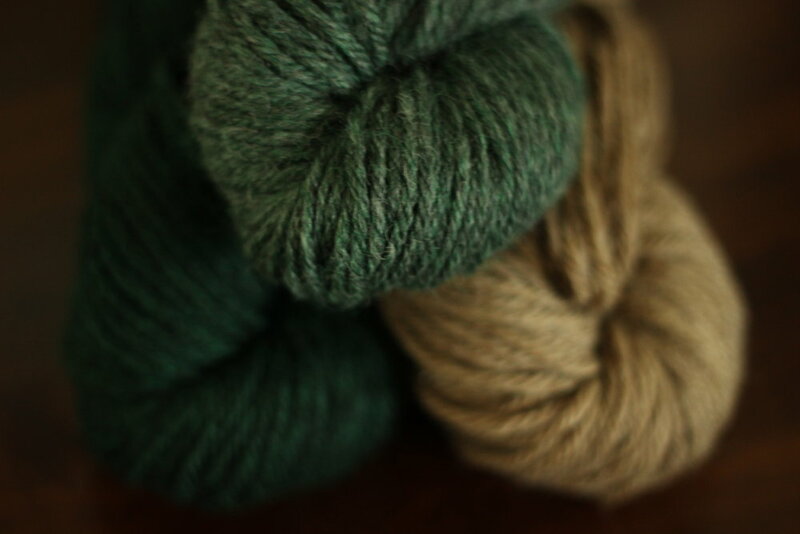 Spruce Fiber Co. is my independently dyed yarn line. My yarns are ethically sourced from around the world and made in small batches in my home. I use both plant based and acid dyes and work to minimize water consumption. My goal with this is to give something back to the craft that I love so much as well as keep people warm while helping take care of the Earth. Responsible fashion doesn’t have an unattainable idea. In a troubled world, it is refreshing to see people who are not afraid to reach out and try to reverse the damage that we do to it. A portion of all pattern sales go to people who do good in the world. Look below to see the foundations that Spruce Knits supports. When you knit a Spruce Knits pattern, you really are Knitting Some Good. Founded in 1970 by a bunch of environmental nerds, (Love those guys), the NRDC has been working hard through activism and litigation to preserve the Earth's natural resources (weird, I know!). Currently, their working hard on trying to stop climate change and keeping our water healthy. We need the Earth, y'all. I don't even know how that isn't obvious.Visit: www.nrdc.org to learn more. If you want a sobering dose of reality, head over to the SPLC website and look at their Hate Map. Since 1971 the Southern Poverty Law Center has been defending Civil Rights in America by confronting radical groups like the KKK and now, Neo-Nazism. America isn't free until all are free, so head over to www.southernpovertylawcenter.org to learn more about how to stop the hate.